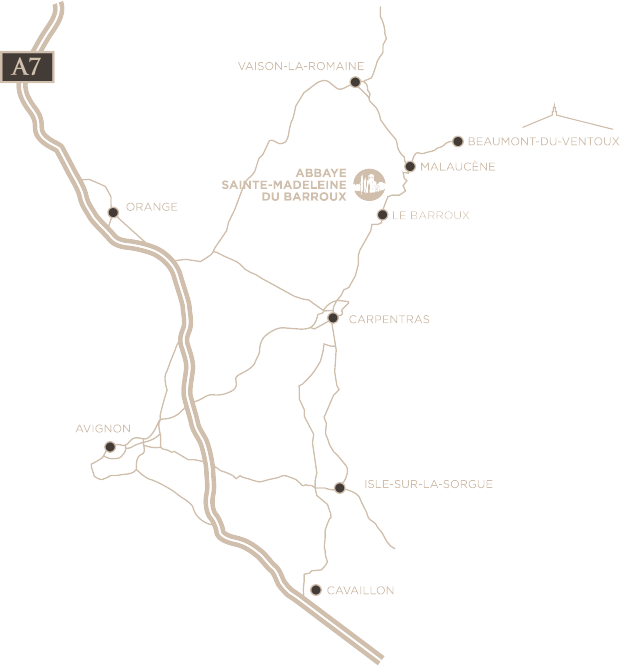 As the most mountainous of the Ventoux AOP, we wanted our wines to offer a path to the summits, a passage from the visible to the Invisible. We hope you enjoy the climb! But remember the fox’s words to the Little Prince, “It is only with the heart that one can see rightly”: when you arrive at the top, open your heart, and you will see that indescribable, intoxicating thing shining brightly: Charity. But be warned, the Light will go out if it is not passed to another! All of the plots selected benefit from very generous sunshine and the freshness that comes from our mountain location. Our terroir has the potential to produce wines of exceptional quality due to the microclimate and the very varied subsoil that enables us to obtain superb complexity from both of the grape varieties. The “Annonciation” plots in the Clos des Soeurs have a southern character, the deep clay-limestone soil is planted with old Clairette vines that gives the wines beautiful aromatic power. “St Vincent”, at the bottom of the Colline des Moines, has sandy-alluvial soil and is planted with younger Clairette, for freshness and acidity. The clay-sand terroir of “Sainte Thérèse” allows the monks’ Roussanne to develop all of its aromatic power and a full-bodied structure. On a terroir on the slopes of Mont Ventoux, the winegrowers’ Clairette vines thrive in the sunshine and the generous clay soil. Finally, nestled at the foot of the Chapel of the Holy Sepulchre in Beaumont du Ventoux, a plot of clay-limestone soil is very densely planted with Roussanne, giving this wine magnificent expression. The vines are grown in accordance with sustainable farming practices, with a strong organic tendency in the monks’ and nuns’ vineyard, who use mechanical ploughing techniques to keep the soil supple and aerated. Yields are controlled according to the potential of the various plots, depending on the grape variety, the rootstock, the age of the vines, and the planting density. Manual harvesting and rigorous sorting, with the selection of perfectly healthy grapes that have reached optimal ripeness The grapes are then transported to the winery in small containers to avoid them being crushed under their own weight. Direct pneumatic pressing without destemming and clarification of the must by cold settling. Vinification in stainless steel vats at a controlled temperature: slow fermentation to express the characteristic flavors of each varietal. 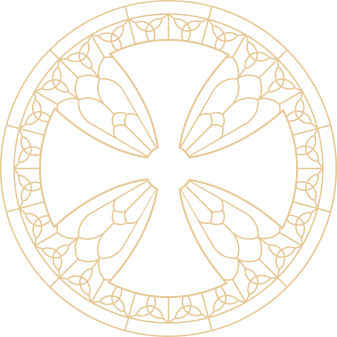 After vinification, the wines are blended and aged on fine lees for six months. A proportion of the Roussanne is vinified and aged for six months on the lees in oak barrels with regular stirring, and then blended shortly before bottling. The wines aged in vats and the wines aged in barrels are blended shortly before bottling. This white Caritas exudes elegant aromas of white fruit, predominantly peaches and pears, with notes of apricots and subtle scents of white flowers that come together with delicate complexity. The palate reveals lots of fresh, well-rounded substance, in a magnificent combination of power and finesse. The long, well-balanced finish ends with a hint of praline and brioche. 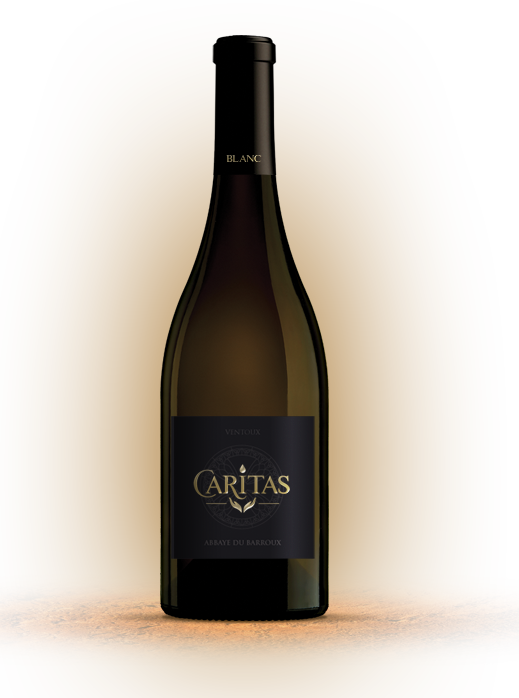 The finesse and tremendous harmony that emanates from this Caritas Blanc 2015 creates a sensation of fullness that perfectly expresses the generosity and freshness of our terroir. The complementary nature of the two varietals from which the wine is produced benefits from the monks’ and winegrowers’ methodical, patient approach. These wines are made from plots on complementary terroirs that embody the richness of the Ventoux, in particular the “Annonciation” plots with their southern character in the Clos des Soeurs: above the Clairettes, old Grenache vines are planted in the deep clay-limestone soil, bringing body and power with the characteristic freshness of this mountainous region; some east-facing plots are planted with Cinsault, for freshness and acidity. The terroir around the St Joseph plot opposite the monastery, with sandy slopes exposed to the sun in the morning and at midday, and terraces planted with Syrah and Grenache, brings structure and body; finally, the sandy soil of “Gethsémanié”, which means “oil press” in Hebrew, located below the Abbey’s oil mill, is very densely planted with Syrah, brings lots of finesse and fruitiness. Manual harvests are carried out at optimal maturity, accompanied by sorting, ensuring that only perfectly healthy grapes are selected. The grapes are kept in the shade before being transported to the winery in a single batch to avoid oxidation. Pressing of the destemmed, crushed grapes with a pneumatic press at low pressure. After clarification of the must, fermentation in concrete tanks at low temperature. Ageing on fine lees with stirring for six months. Explosive nose with a multitude of aromatic citrus notes, particularly grapefruit and tangerine, and some very intense notes of red and black berries. Then, sweeter notes of exotic fruit (mango and lychee), complete the sensation of a fruit firework display! The palate confirms this generosity with a direct, supple, rounded attack. Fairly ripe notes of pomegranate and raspberry develop. Tremendous softness combined with a very pleasant freshness. The finish is long and lingering. A truly delicious gourmet wine. This is a rosé to accompany haute cuisine, whose structure and elegance are a match for some very fine red wines. 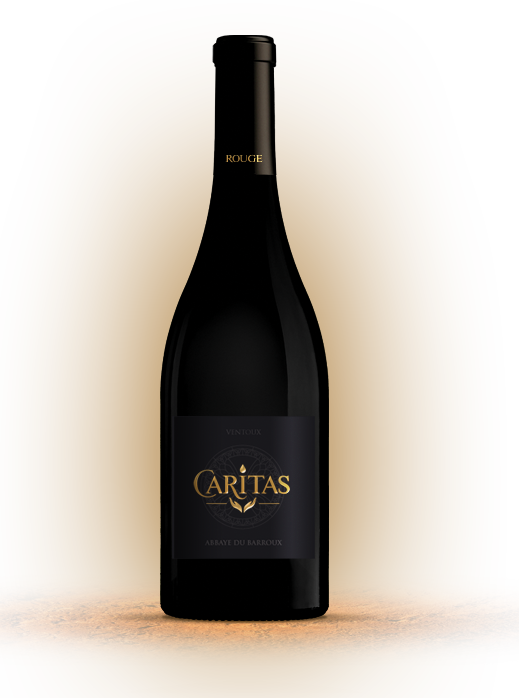 Serve Caritas Rosé at your next gourmet meal and give your guests a pleasant surprise. You will teach them to see rose in a new light: it is not always just a thirst-quenching wine for the summer, it can also be an oenological masterpiece, offering a vibrant expression of a magnificent terroir. « Impressive, surprising, incredible, magnificent ». This wine is produced from Caritas’s finest plots, selected just before the harvests for their particularly pronounced aromatic qualities, with a view to revealing Ventoux’s magnificent potential: the Grenache grapes were selected largely from the southern style clay-limestone terroir of “Annonciation”, opposite the Clos des Soeurs, from the monks’ old vines and the monks’ and the winegrowers’ terraces in Barroux and in Beaumont, mostly from the deep clay-limestone soil which bring body and power with the characteristic freshness of this mountainous region. The Syrah was picked from the old vines in the Clos des Soeurs and from the winegrowers’ terraces in Barroux, selected for their very pronounced notes of red and black fruit. The old Carignan vines growing in the east-facing plots with deep clay soil, opposite the nun’s convent, bring a hint of the rusticity characteristic of this varietal. The vines are grown in accordance with sustainable farming practices, with a strong organic tendency in the monks’ and nuns’ vineyard, who use mechanical ploughing techniques to keep the soil supple and aerated. Yields are controlled according to the potential of the various plots, depending on the grape variety, the rootstock, the age of the vines, the planting density, and the number of productive vines on the plot. Manual harvesting and rigorous sorting, with the selection of perfectly healthy grapes that have reached optimal ripeness Traditional vinification in concrete vats with maceration for 25 days without the stems. Extraction is enhanced by racking at the beginning of fermentation; then by gentle pumping over to avoid overly-harsh tannins. After malolactic fermentation, 80% of the wine is aged in concrete vats for 18 months, while the other 20% is aged for 18 months in new 500-liter oak barrels. A young, very promising wine. Like the rosé, a great variety of fruit, that is even riper, both in the bouquet and on the palate. Very generous volume in the mouth, accompanied by elegant tannins. The finish is dense and vibrant. Reserve now!